Guam ( or Chamorro: ) is an organized, unincorporated territory of the United States in the western Pacific Ocean. It is one of five U.S. territories with an established civilian government. Guam is listed as one of seventeen Non-Self-Governing Territories by the Special Committee on Decolonization of the United Nations. The islands capital is Hagåtña (formerly rendered Agana). Guam is the largest and southernmost of the Mariana Islands. 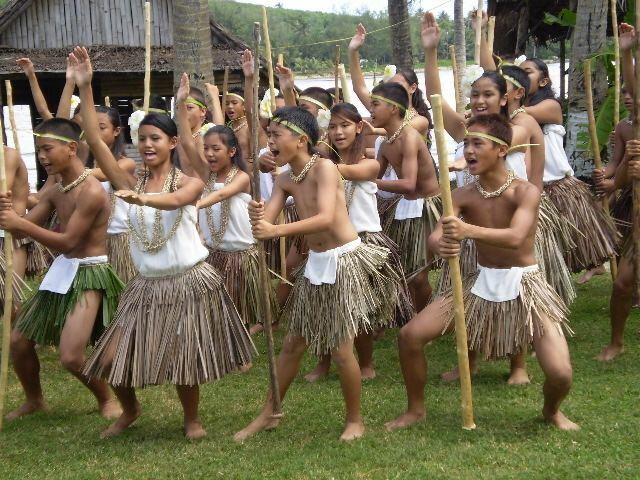 The Chamorros, Guams indigenous people, first populated the island approximately 4,000 years ago. The island has a long history of European colonialism, beginning with its discovery for Europe by Ferdinand Magellan during a Spanish expedition on March 6, 1521. The first colony was established in 1668 by Spain with the arrival of settlers including Padre San Vitores, a Catholic missionary. For more than two centuries Guam was an important stopover for the Spanish Manila Galleons that crossed the Pacific annually. The island was controlled by Spain until 1898, when it was surrendered to the United States during the Spanish–American War and later formally ceded as part of the Treaty of Paris. Today, Guams economy is supported by its principal industry, tourism, which is composed primarily of visitors from Japan. Guams second largest source of income is the United States Armed Forces. Ancient Chamorro society had four classes: chamorri (chiefs), matua (upper class), achaot (middle class), and manachang (lower class). The matua were located in the coastal villages, which meant they had the best access to fishing grounds, whereas the manachang were located in the interior of the island. Matua and manachang rarely communicated with each other, and matua often used achaot as an intermediary. There were also "makåhna" (similar to shamans), skilled in healing and medicine. 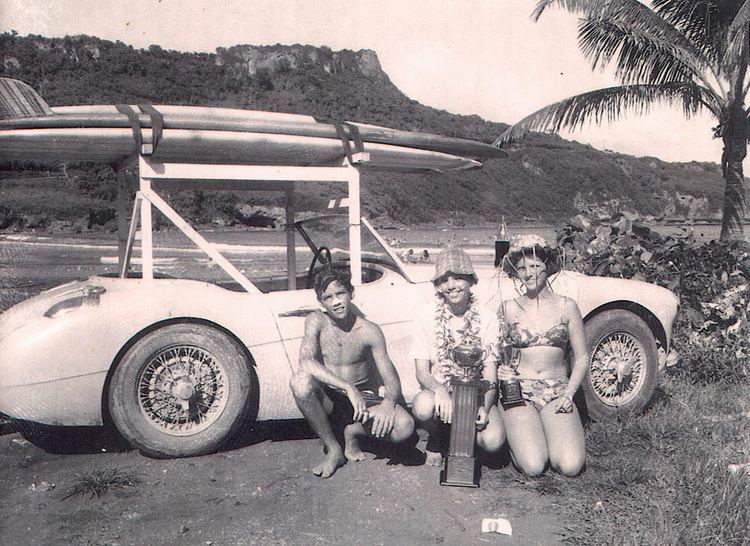 Belief in spirits of ancient Chamorros called "Taotao mona" still persists as a remnant of pre-European culture. Society was organized along matrilineal clans. Latte stones are stone pillars that are found only in the Mariana Islands and are a recent development in Pre-Contact Chamorro society. The latte stone was used as a foundation on which thatched huts were built. Latte consist of a base shaped from limestone called the haligi and with a capstone, or tåsa, made either from a large brain coral or limestone, placed on top. A possible source for these stones, the Rota Latte Stone Quarry, was discovered in 1925 on Rota. The island of Guam is 30 miles (50 km) long and 4 to 12 miles (6 to 19 km) wide, 3?4 the size of Singapore. The island experiences occasional earthquakes due to its location on the western edge of the Pacific Plate and near the Philippine Sea Plate. In recent years, earthquakes with epicenters near Guam have had magnitudes ranging from 5.0 to 8.7. Unlike the Anatahan volcano in the Northern Mariana Islands, Guam is not volcanically active. However, due to its proximity to Anatahan, vog (i.e. volcanic smog) does occasionally affect Guam. Two aspects of indigenous pre-Hispanic culture that withstood time are chenchule and inafamaolek. Chenchule is the intricate system of reciprocity at the heart of Chamorro society. It is rooted in the core value of inafamaolek. Historian Lawrence Cunningham in 1992 wrote, "In a Chamorro sense, the land and its produce belong to everyone. , or interdependence, is the key, or central value, in Chamorro culture ... depends on a spirit of cooperation and sharing. This is the armature, or core, that everything in Chamorro culture revolves around. It is a powerful concern for mutuality rather than individualism and private property rights." The core culture or Pengngan Chamorro is based on complex social protocol centered upon respect: From sniffing over the hands of the elders (called mangnginge in Chamorro), the passing down of legends, chants, and courtship rituals, to a person asking for permission from spiritual ancestors before entering a jungle or ancient battle grounds. Other practices predating Spanish conquest include galaide canoe-making, making of the belembaotuyan (a string musical instrument made from a gourd), fashioning of slings and slingstones, tool manufacture, burial rituals, and preparation of herbal medicines by Suruhanu. Guams economy depends primarily on tourism, Department of Defense installations and locally owned businesses. Despite paying no income or excise tax, it receives large transfer payments from the general revenues of the U.S. federal treasury. Under the provisions of a special law of Congress, it is Guams treasury rather than the U.S. treasury that receives the federal income taxes paid by local taxpayers (including military and civilian federal employees assigned to Guam).